Dr Víctor Galán Saúco is Research Professor (Emeritus) at the Instituto Canario de Investigaciones Agrarias (ICIA), Spain where he was Head of Research from 1980 to 2006. Prof. Galán Saúco is widely regarded as one of the world’s leading experts on mangoes. Dr Ping Lu is a Fellow in the Research Institute for the Environment and Livelihoods at Charles Darwin University, Australia. He is the current Chair of the Mango Working Group of the ISHS and a Principal Plant Ecologist at ERA (Energy Resources of Australia). Mangoes are one of the most important and widely-cultivated fruits in tropical as well as sub-tropical regions. There have been a number of recent developments with the potential to improve crop yields and quality. There has been new research in understanding the physiology of tree and fruit development with implications for both breeding and cultivation. Analysis of the mango genome promises new, faster breeding techniques to develop improved cultivars. These and other advances are helping to tackle diseases and pests which still cause significant losses. 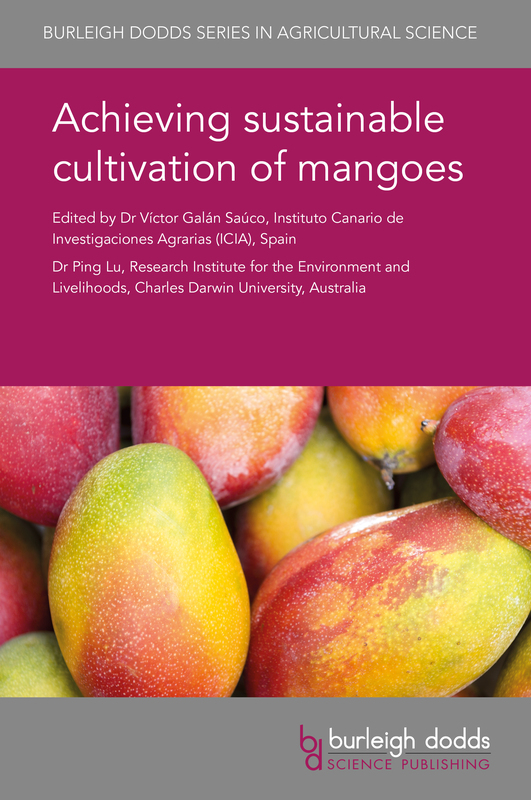 Drawing on an international range of expertise, this collection focuses on ways of improving the cultivation of mango as a food crop at each step in the value chain, from breeding through to post-harvest storage. Part 1 discusses advances in understanding tree growth, flowering, pollination and fruit development as well as developments in marker-assisted breeding. Part 2 reviews improvements in cultivation practice, including organic and greenhouse cultivation. Part 3 covers post-harvest management and quality, whilst the final part of the book assesses disease and pest management. As the need for more interdisciplinary and collaborative research increases, this collection will be a standard reference for the mango research community by summarising key research trends in each topic and putting them in the context of mango cultivation as a whole. Not sure what you're getting if you buy this book? Click on the cover image below to open a PDF and preview pages from the book. Alternatively, watch our informative video introduction.